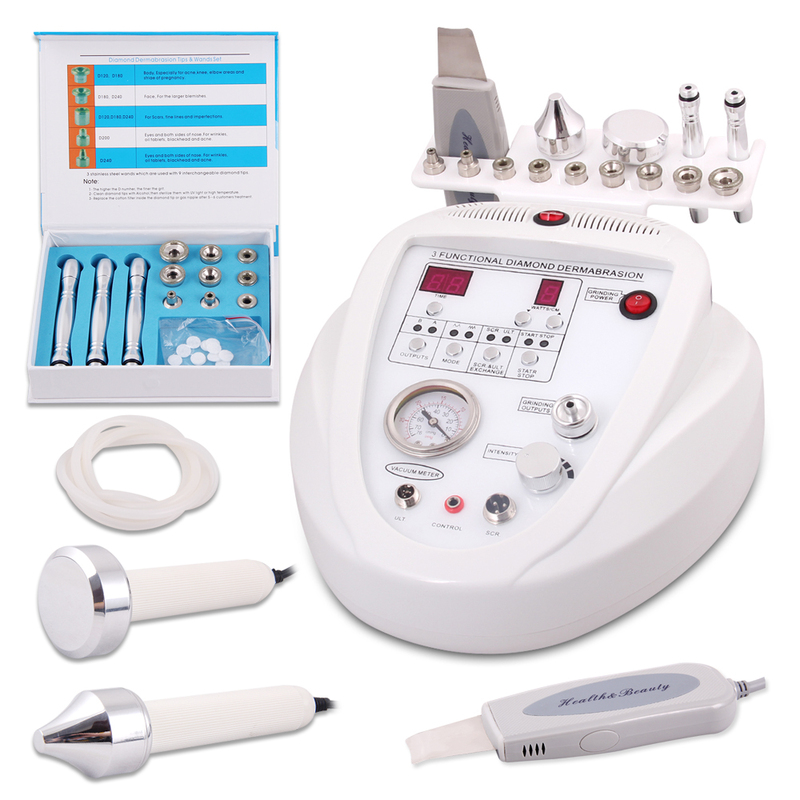 Removes Stratum Corneum Using the ultrasonic waves generated by the Miscrubber, dirt, dead skin and cuticle can be safely and effectively cleared away by the specially designed probe. Ultrasonic utilizes sonic vibrations, it works one million times per second. The ultrasonic wave could stimulate skin tissue and improve permeability of the membrane to promoted collagen tissure, reduced wrinkle and invisible appeared fine line, also lift the skin result for younger and healthy look. Ultrasonic generate frictional heat which accelerate blood circulation, muscle relaxation, and decompose the cellulite to bread down exceed fat.